Optical Illusion is something which deceives the eyes and mind by appearing to be different than what it is in reality. Here are some of the Optical Illusions many of which are amazing and some of these Optical Illusions are also funny. One will see different things at one moment and something else in another moment in these images. Lets start with first very simple Optical Illusion. You may not see it at first, but the white spaces read the word optical, the blue landscape reads the word illusion. Look again! Can you see why this painting is called an Optical Illusion? Here is the another one which I call Good Vs Evil Optical Illusion. In black you can read the word GOOD, in white the word EVIL (inside each black letter is a white letter). It's all very physiological too, because it visualizes the concept that good can't exist without evil (or the absence of good is evil). Now, what do you see? OK, let me show you something similar. What do you see in below Optical Illusion image? You probably read the word ME in brown, but hen you look through ME you will see YOU. Next one is quite tricky! 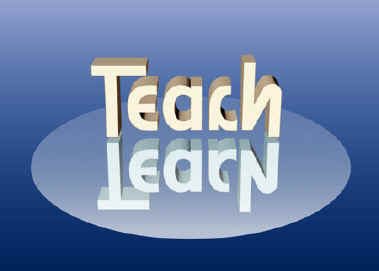 The word TEACH reflects as LEARN. After watching all these Optical Illusion,. now its time to test Your Brain. This is really cool and amazing so please read all the way though. How Many 'F' did you count? The reasoning behind is that our brain cannot process 'OF'. that the word 'THE' is repeated twice! Share this to your friends. It will drive them crazy! And keep them occupied For several minutes..! 1. Funny and Amazing Mind Twister Brain Teaser Pictures for kids :Do checkout similar mind twisting optical illusions which are funny as well as amazing. 2. 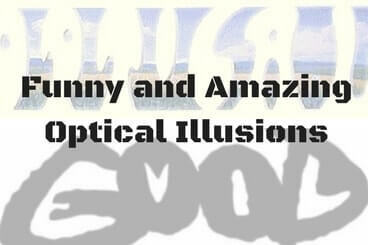 Moving Pictures Optical Illusions to trick your brain: These are very amazing and mind blowing optical illusions. In these Optical Illusions all the pictures are still but our mind will see these pictures are if these are moving. Do check it out yourself. 3. Mind Blowing Optical Illusion of Spinning Lady: This is one of the best Optical Illusion, I have ever seen. In this Optical illusion one dancer is spinning and it will look spinning in different directions to different people at the same time. 4. How to Create Magic Images to Disillusion your mind: After looking at all these optical illusions, its time now to create some Magic Images which will disillusion your mind.